Structures in the ocean made by people, such as oil and gas rigs, shipwrecks or renewable energy devices, could help protect sea creatures under threat from human pressure and climate change, according to a study in Scientific Reports involving scientists from the National Oceanography Centre (NOC). The increasing spread of human-made structures in the world’s oceans could negatively impact marine ecosystems in many ways, including by aiding the spread of invasive species. However, the question of whether these structures also have the potential to help conservation is less clear. Some of the means by which such structures could help conservation are by providing threatened species with new habitats and feeding sites, as well as by expanding their geographical range. NOC scientists worked with colleagues in partner institutions to use a computer algorithm to model how a protected species of coral, Lophelia pertusa, might disperse in the North Sea if its larvae were released into the ocean around installations, such as oil and gas rigs. The model predicted that the larvae would travel between coral populations that have colonized individual structures and even reach natural populations located at great distances. There the larvae could supplement the existing population or recolonize damaged reefs. The findings suggest that human-made structures in the North Sea form a network of densely connected clusters of coral ecosystems that spans hundreds of kilometres and crosses international borders. These structures could act as stepping stones, holding coral networks together and increasing their resilience at times of low ocean circulation, which could become increasingly important as ocean currents weaken due to climate change in coming decades. This latest study was funded by the Appraisal of Network Connectivity between North Sea subsea oil and gas platforms (ANChor) project through the INfluence of man-made Structures In The Ecosystem (INSITE) research programme and used the ARCHER United Kingdom National Supercomputing Service. 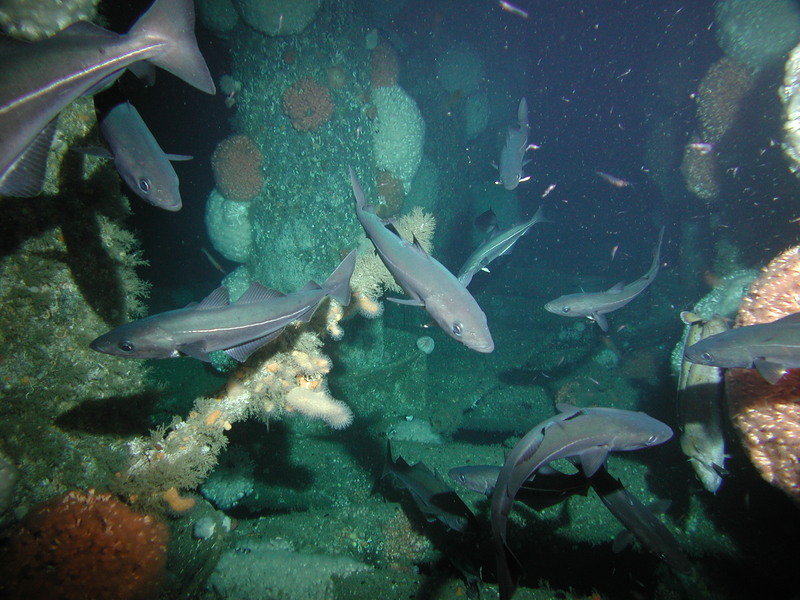 It builds on recent work, also involving NOC scientists, suggesting that artificial habitats such as oil platforms can be more valuable than the original seabed. This research was published in the journal Frontiers in Ecology and the Environment and featured on BBC News online.